Home » Prosupplyoutlet's booth » Citric Acid USP/Food Grade Organic 1-30 Lb packs! FREE SHIPPING!! 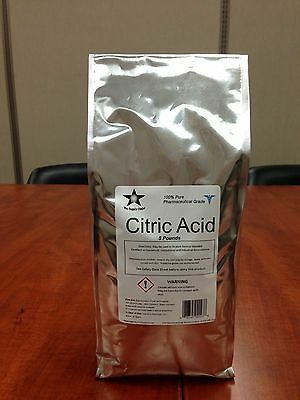 Citric Acid USP/Food Grade Organic 1-30 Lb packs! FREE SHIPPING!! $8.25 This item is selling for $8.25 on eBay. Top-Rated SellerProsupplyoutlet consistently earns high ratings from buyers thanks to fast shipping and excellent service.